Abstract: This thesis is a study of the men who served as archers in the armies of the English kings between 1367 and 1417. 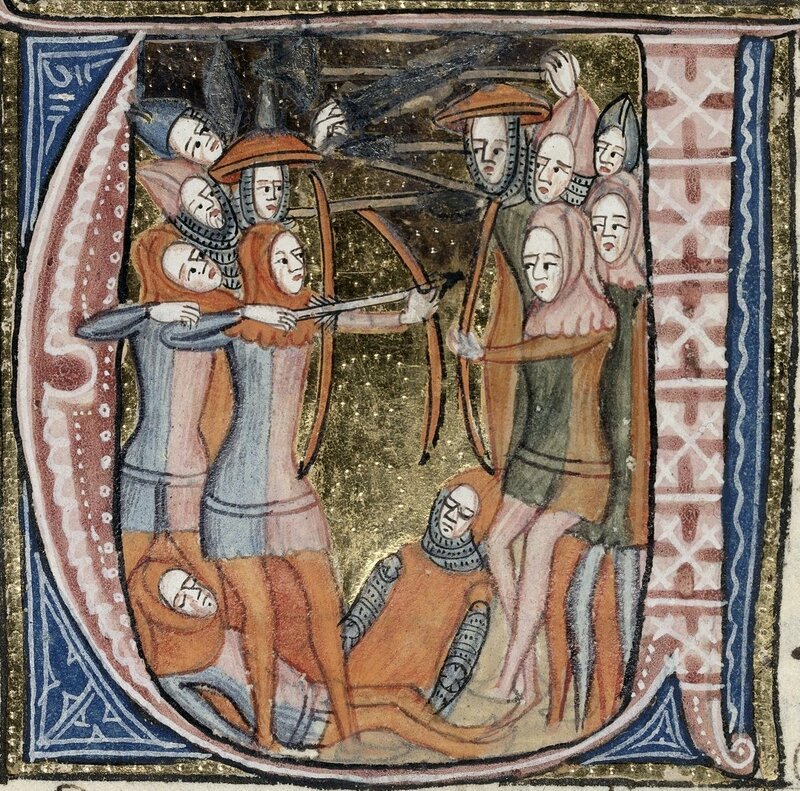 However, the focus is not the archers in their military capacity, but the motivations behind their service and their position in late medieval English society. Increasing usage of indentures, recorded in muster rolls, to recruit soldiers for English armies in this period provide historians with rich resources for the study of the military community. Previously this has focused on those of higher socio-economic backgrounds, serving mostly as men-at-arms, and not on those who served as archers. However by combining this muster roll data with information on residency, wealth, and occupations from the poll tax returns of 1377, 1379, and 1381 in a relational database the backgrounds and service links of the archers could be explored. There is a clearly identifiable group of archers whose service was not significantly motivated by political or social obligations and represents a shift towards military service as a ‘free market’, driven by economic considerations. This was apparent in the connections between archers and captains and in the patterns of service they followed, with the more professional archers ranging more widely in both the location and type of military service they performed. Despite this, it is evident that the archers were embedded within society and did not differ greatly in terms of occupation or wealth from their non-military peers. The difference between the careerist and ‘amateur’ archers was more subtle, with ‘amateur’ archers appearing in a wider range of economic backgrounds.